If you weren’t able to be at the temple last month, you missed back-to-back wins for Atlanta. 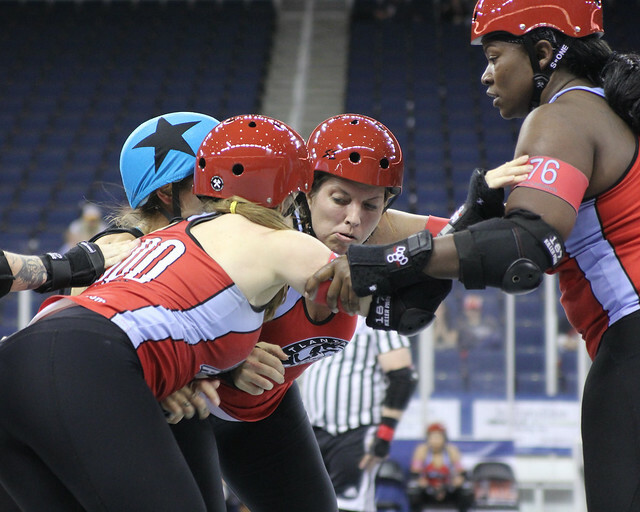 With new faces gracing both teams and some fancy new strategies being worked, Atlanta skaters on both the B team and A team put on a fantastic show of athleticism. 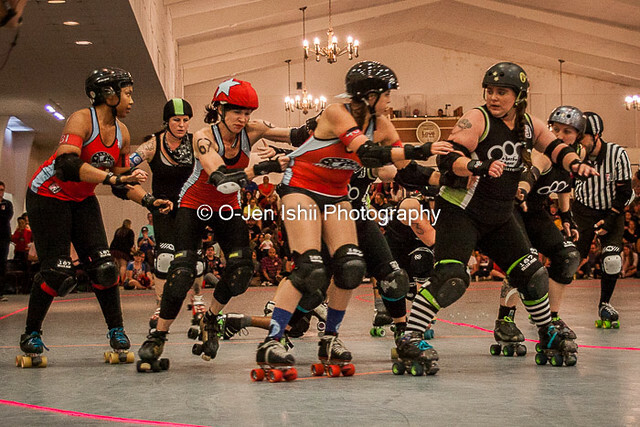 Slams McKenzie gives us a fantastic recap of the Rumble Bs taking on the Columbia Miss B-Havers and the Dirty South Derby Girls taking on the all-stars of Charm City.